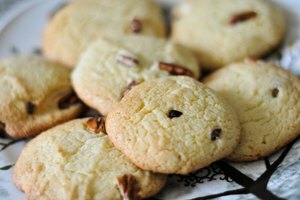 Cookies are one of the easiest and most fun things to bake. Not only do they require little preparation, they can be made fresh from the oven in as little as seven minutes. One could use special vented cookie pans or regular metal sheet pans. Or if neither is available, one may use glass pans. Here's how to make a batch of delicious oatmeal chocolate chip cookies. Dark pans and glass pans absorb heat more, so foods cook faster and brown more quickly—versus shiny pans that deflect heat away. 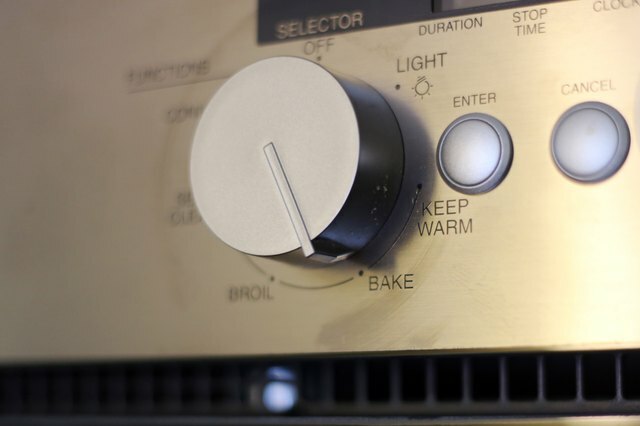 If you use a glass pan for a recipe that calls for a metal pan, reduce the baking temperature by 25 degrees Fahrenheit (see References 1). 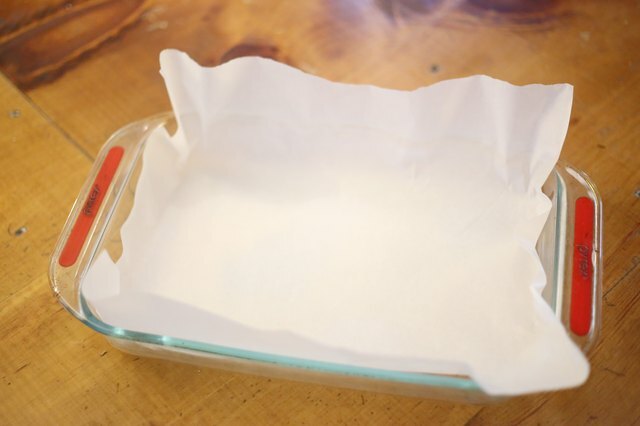 Line your glass pans with a sheet of parchment paper. Unlike wax paper which is coated with paraffin wax that tends to burn more easily, parchment paper can withstand oven temperatures of up to 420 degrees Fahrenheit (see References 2). Most cookie recipes fall way below this range. Mix sugars, butter, eggs, and vanilla in a glass bowl with a wire whisk or hand mixer. Combine until fluffy. 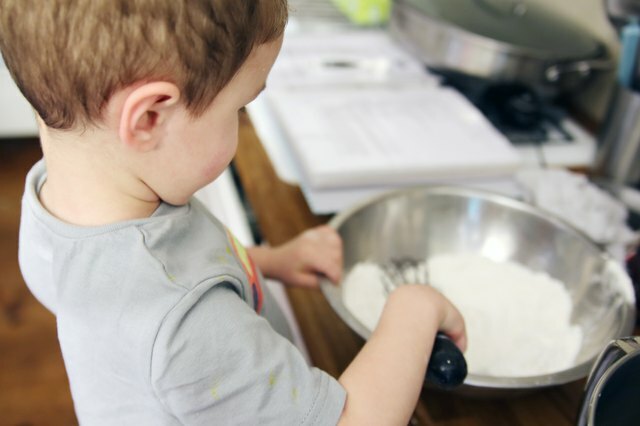 In a separate bowl, combine baking soda, salt, and flour. Using a wooden spoon, add the dry mix to the butter mixture, scraping down the sides of the bowl. Do not over-mix. 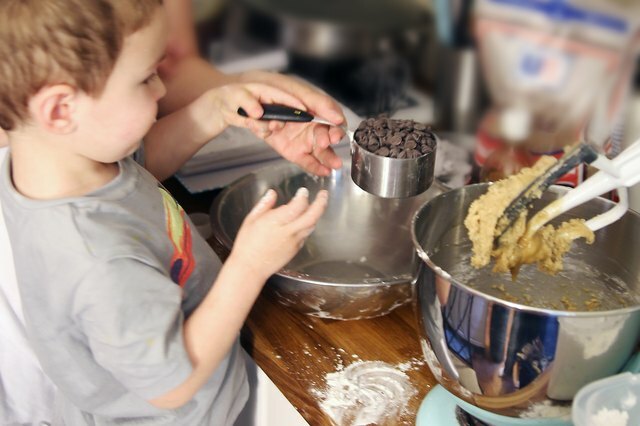 Add chocolate chips to cookie dough until combined. 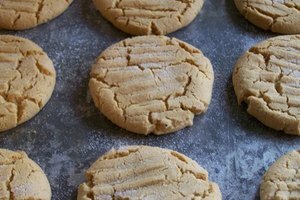 Drop rounded teaspoonfuls (or tablespoonfuls if you like bigger cookies) on the parchment paper-lined glass pan. 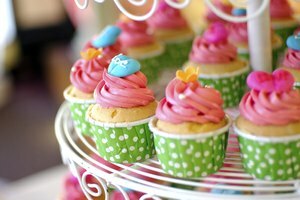 Bake for 8 to 12 minutes and cool on wire racks. Store in zip-top bags also lined with parchment paper. To find your perfect cookie texture (chewy or crispy), bake test batches of only a few cookies each, pulling them out at different baking times. For a smoother cookie, shred the oatmeal in the food processor, or replace it altogether with all-purpose flour. For a healthier, high-fiber cookie, substitute half of the all-purpose flour with whole-wheat flour.